Sultan 7th Day collection, Sultan Movie Tuesday Collection, 1st Week Total Box Office Business Of Sultan Film: Salman Khan recent released film is doing tremendous business in both domestic and overseas box office. As per reports this film has already fetched total Rs 180.36 crores nett money on its 1st weekend. It was released on Eid6 July, 2016, within just 5 days it has collected this amount. It just a report from domestic market but the film had collected good amount in international market as well, as per report it fetched total Rs 38.21 in 5 days. The film box office business had dropped on Monday in both multiplexes and single screens across the country, but good news for movie is, it is going to cross Rs 200 crores club just in 7 days ( one week ) in India. Sultan Movie has become highest first Weekend grosser movie so far in the history of Bollywood cinema. Sultan is set-off on an unstoppable journey till now, and on 7th day the movie had good occupancy of 50% in multiplexes. Tuesday is a working day in Indian, just because of this the movie did not managed to earn good number at the box office. But there is no looking back for Sultan, as sallu bhai fan are giving full support to the move and public word of mouth is in the favor of this film. It is setting off new record charts at the box office which would probably be hard to break in near future. As per reports it has earned total nett Rs 202.3 Crore at the domestic box office in just 6 days. Till now the flick has broken the record of Dilwale, Dabang, Dabang 2, Bodyguard, Bang Bang, Yeh Jawaani Hai Deewani, Bajirao Mastani, 3 Idiots, Ek Tha Tiger etc.Sultan movie has become fourth highest grosser movie of Salman Khan. Trade experts and few box office pundits have already predicted that Sultan movie will become second Rs 300 crores club movie of salman bhai after Bajrangi Bhaijaan. 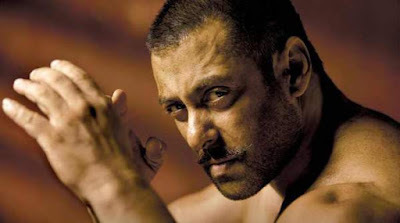 As per early report, the morning and afternoon shows of sultan on 7th day got good company and 1st Tuesday of Ali Abbas Zafar directional Sultan is expected to around Rs 16.3 crores that would make its total 1st week business income to Rs 214 crores nett approx.